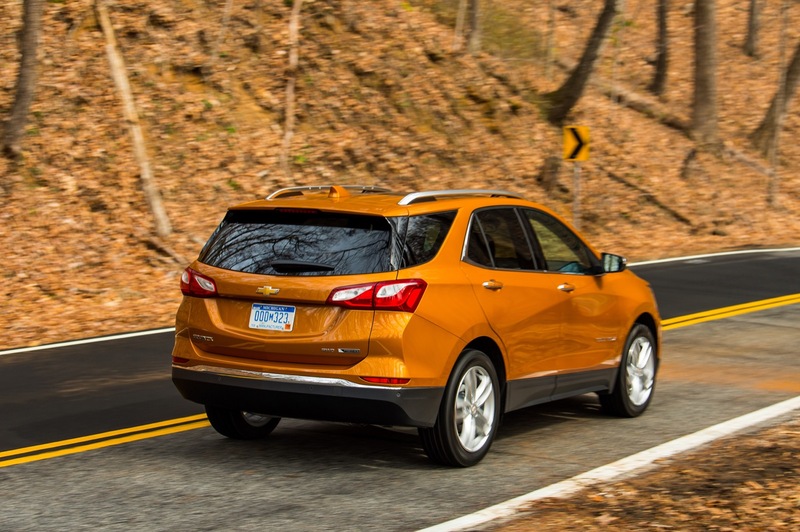 Today is the autumnal equinox, making it a perfect time for Chevrolet to release an all-new Equinox. Why else? Because the crossover market is hot. Really hot. Keeping those two key points in mind, Chevrolet has taken the wraps off of its new compact crossover. 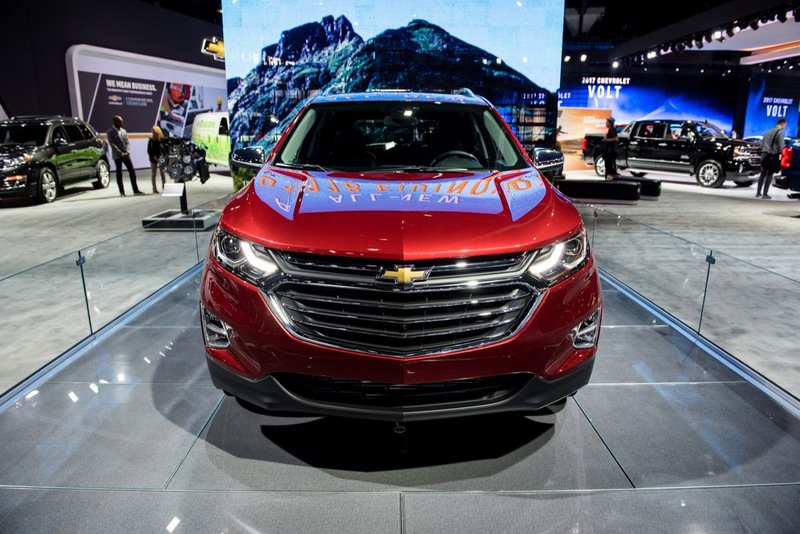 So, say hello to the 2018 Chevrolet Equinox. 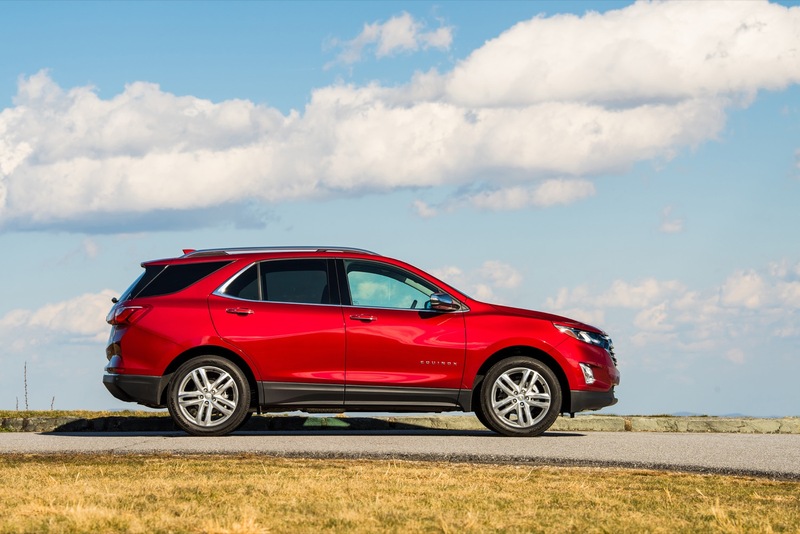 The 2018 Equinox wears the latest Chevrolet design language, borrowing cues from the 2017 Chevrolet Volt, 2016 Chevrolet Malibu and 2016 Chevrolet Cruze. The sleek, chiseled look comes from plenty of time spent in the wind tunnel for aero development, according to the brand. 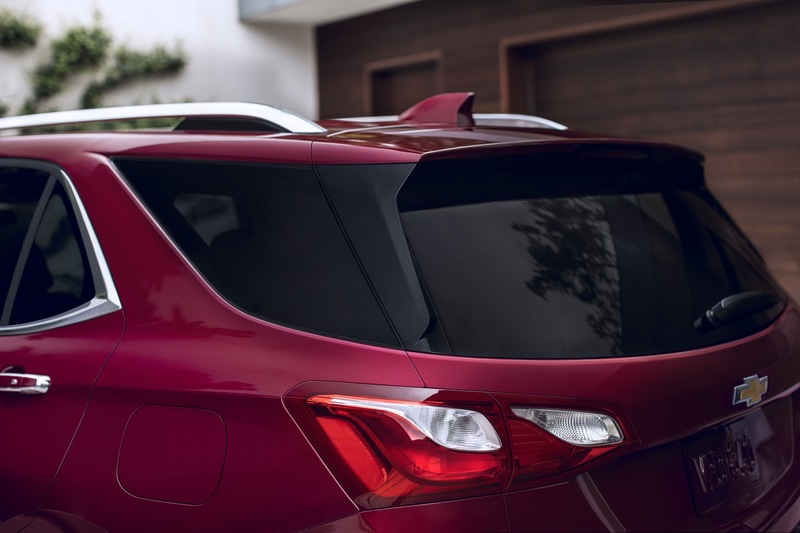 Projector headlamps are standard across all trim levels, while LED taillamps enhance the rear’s wide stance on uplevel trims. 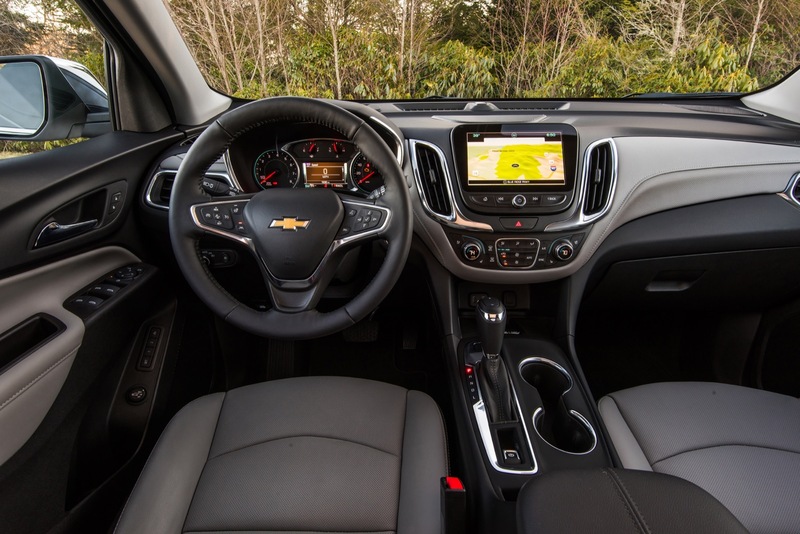 The interior takes advantage of the 2018 Equinox’s new bones, the D2XX platform, and rearranges things to present a “down-and-away” instrument panel coupled with a low windshield base for greater outward visibility. 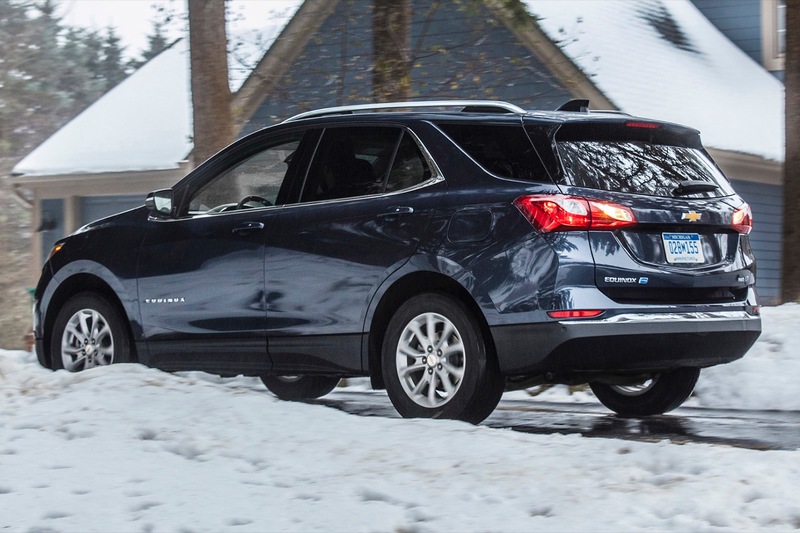 Those new bones also mean for substantial weight loss as well; the 2018 Equinox is now officially a compact crossover shedding 400 pounds from its predecessor. 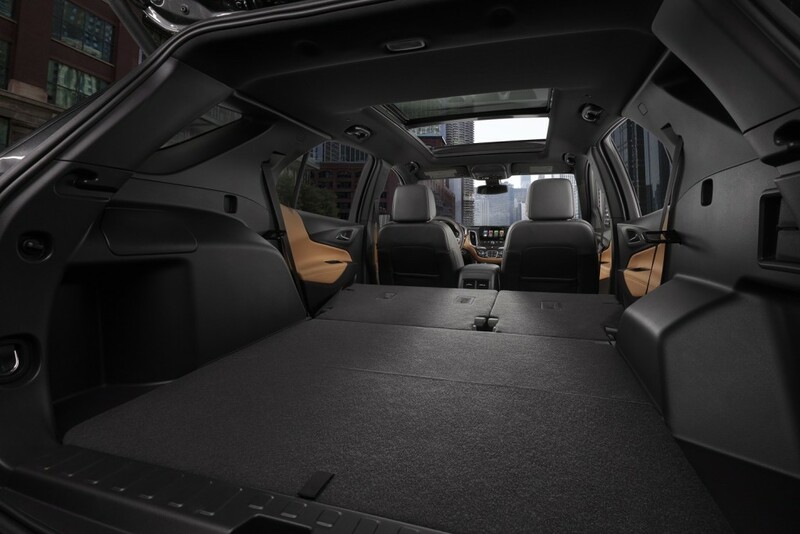 Even so, it still manages 63.5 cubic-feet of cargo area. 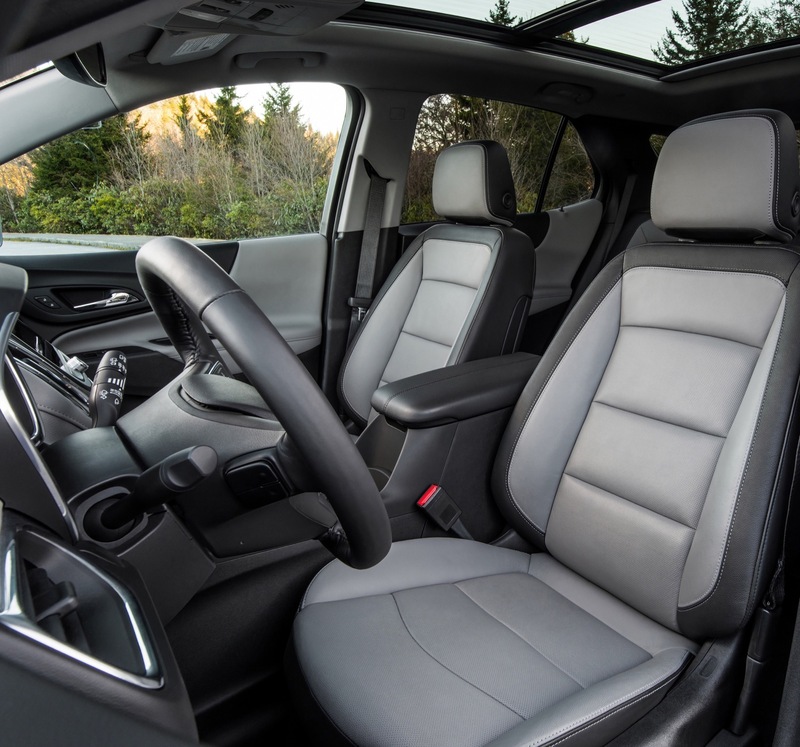 The cabin also gets a few new nifty design cues as well, such as available denim-style seat fabric, and a new “kneeling” rear seat, which allows the bottom seat cushions to tilt forward when folding the seatbacks. We’ll get to the two other engines momentarily. 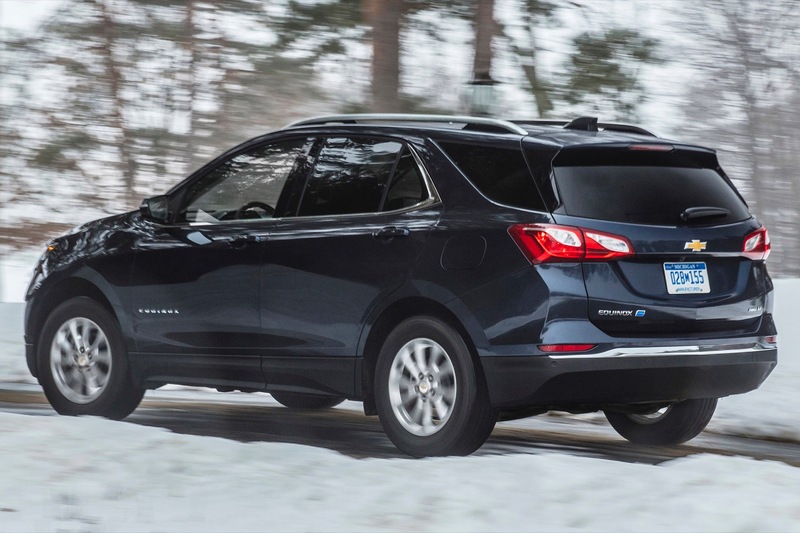 First, let’s discuss Chevrolet’s intentions to fit this third-generation Equinox with a four-cylinder turbo-diesel engine. 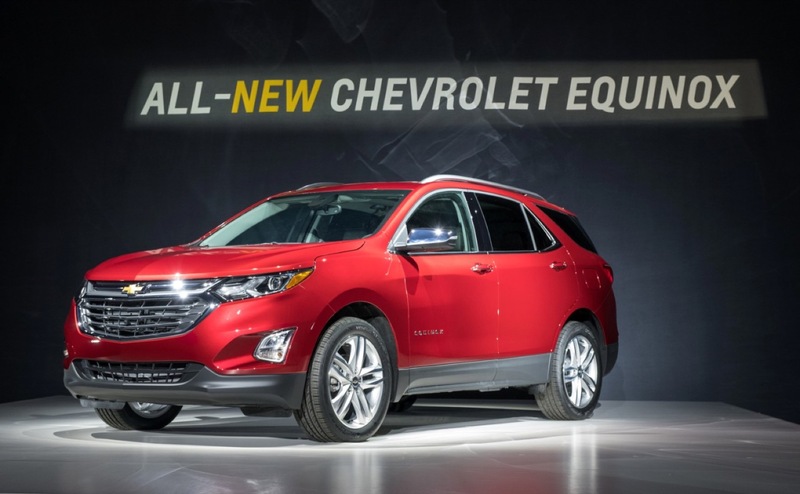 Displacing 1.6 liters, the oil burner is expected to be a segment exclusive. 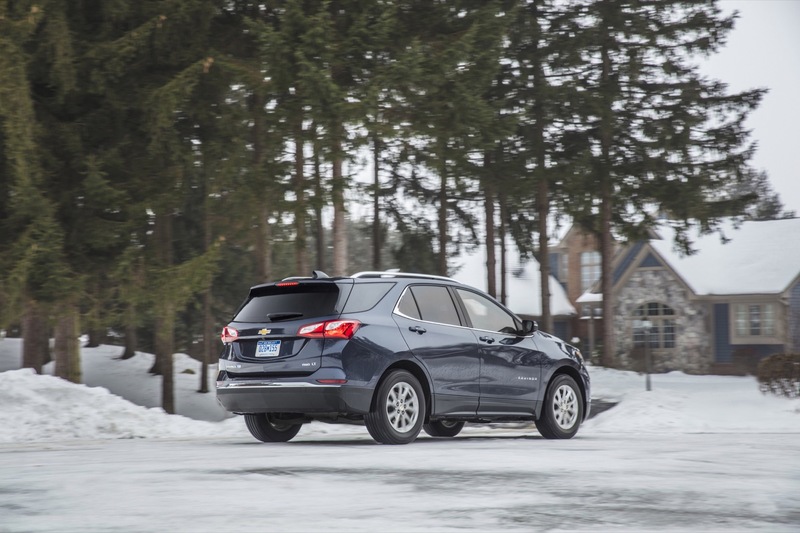 It’s the same engine that will likely be fitted under the hood of the upcoming 2017 Cruze diesel, which shares an identical vehicle architecture. 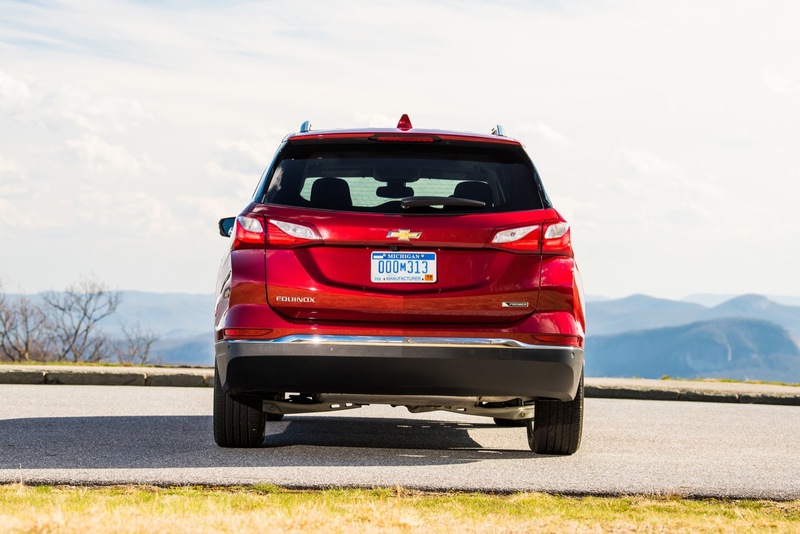 It’s also possible Chevrolet wants to capitalize on spurned Volkswagen customers in search of a new identity. Now, to the regular, gasoline burning engines. 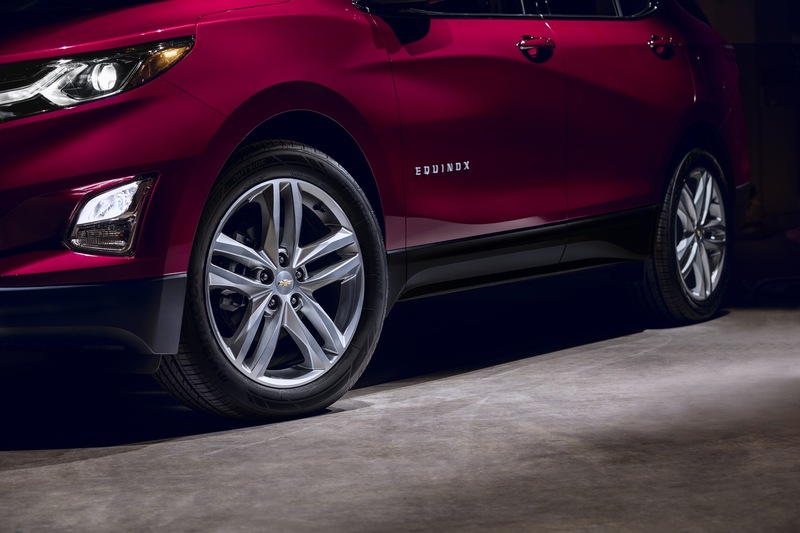 GM’s new 1.5-liter turbocharged LYX four-cylinder and the now-prevalent 2.0-liter turbocharged four-cylinder LTG round out Chevy’s three-way punch of an all-turbo powertrain lineup. 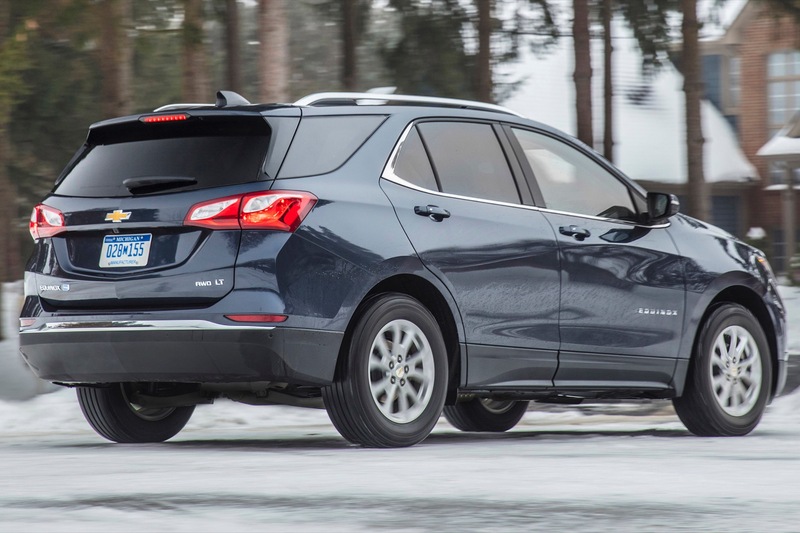 Both engines are also found in the ninth-generation Chevy Malibu. 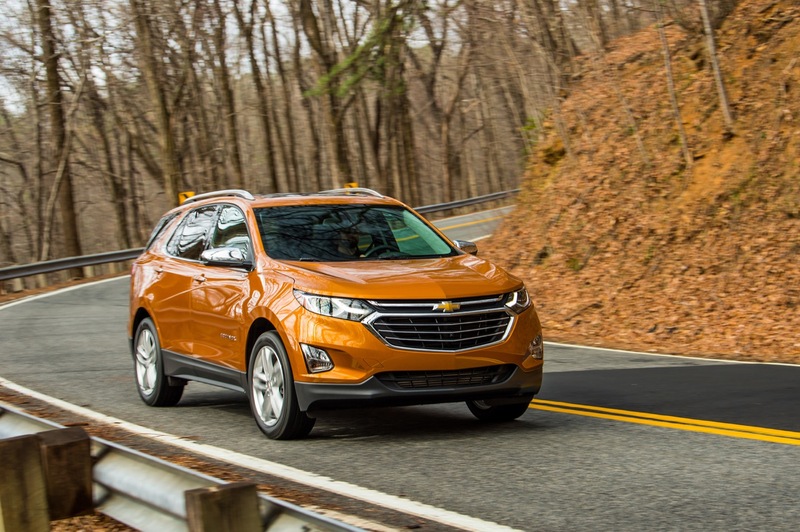 Shifting duties will be performed by GM’s all-new nine-speed automatic transmission, marking the unit’s first use in a production vehicle (alongside the 2017 Chevy Malibu). The 1.6L turbo-diesel will sit the nine-cog gearbox out, though, for an undisclosed transmission. 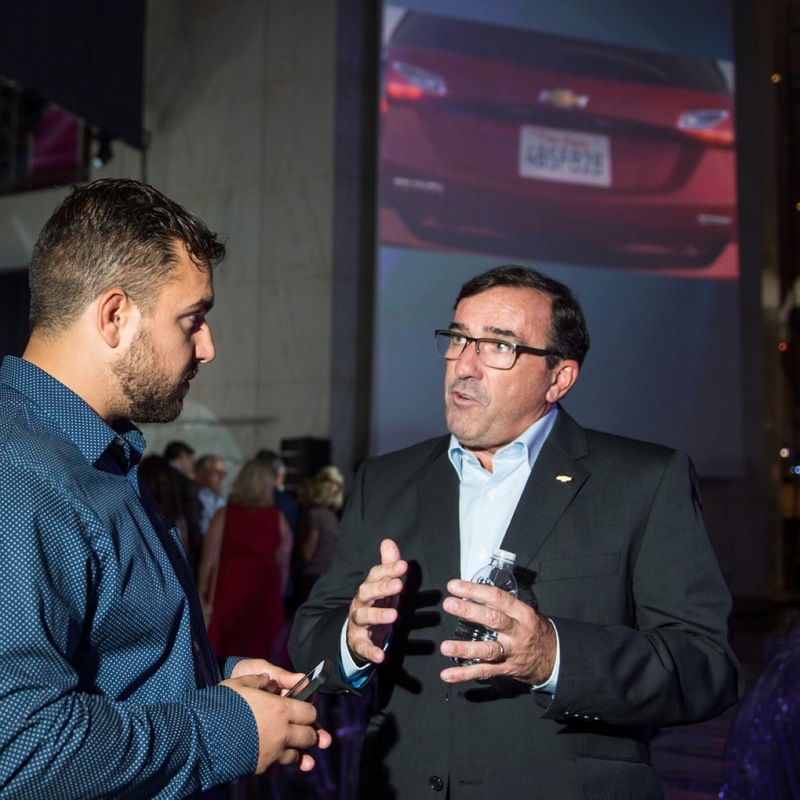 It wouldn’t be a new Chevrolet launch if it didn’t have technology and stuff. 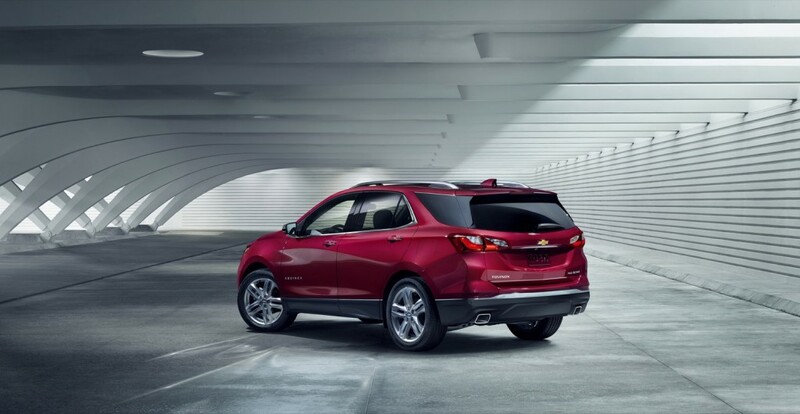 Have no fear, the 2018 Chevrolet Equinox is chock full of it. 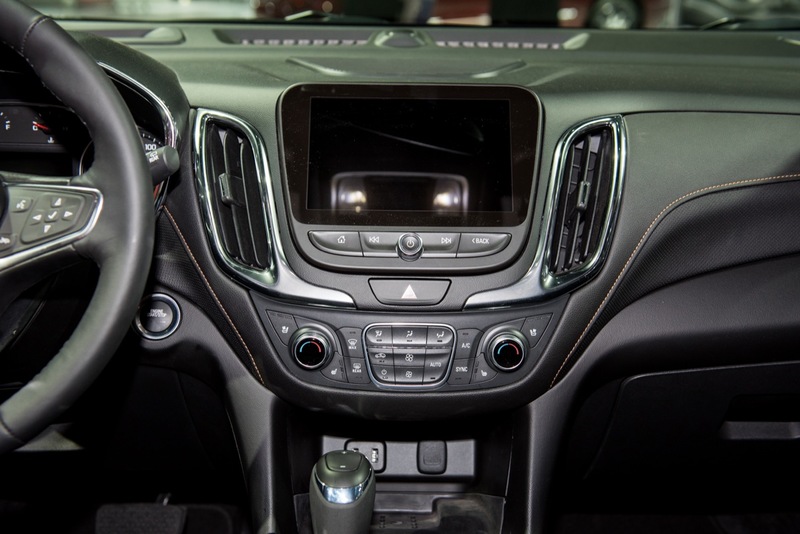 Seven and eight-inch touchscreens are front and center, obviously featuring Apple CarPlay and Android Auto compatibility. 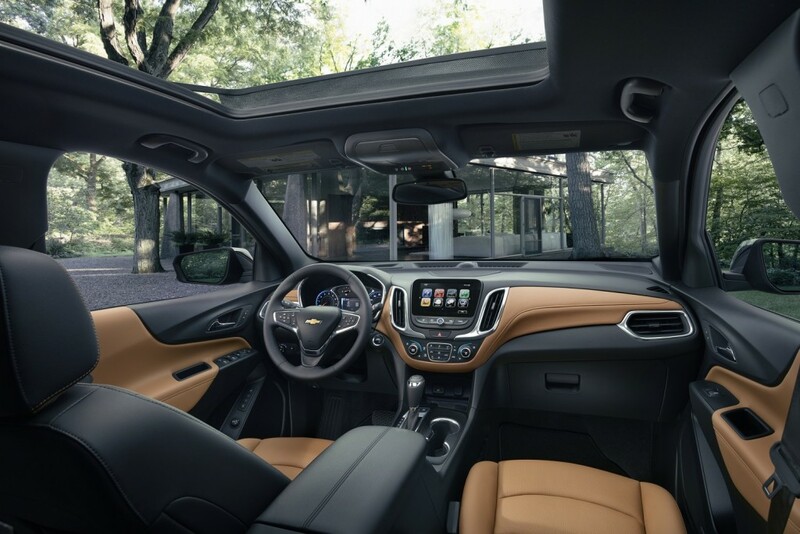 When it comes to safety, a suite of active features complements passive ones, including GM’s patented safety alert seat, surround vision, low-speed automatic braking, rear cross traffic alert and more. 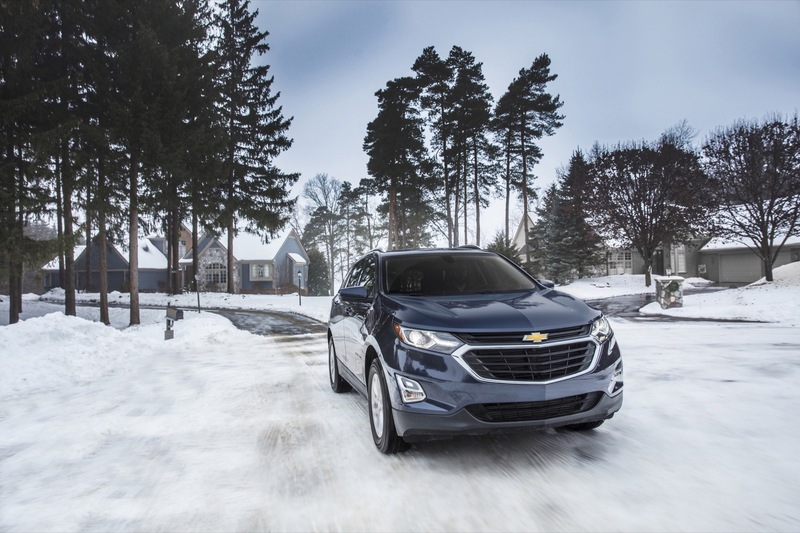 The Chevrolet Equinox has become the brand’s second-best selling vehicle after the Silverado, and that’s saying something. 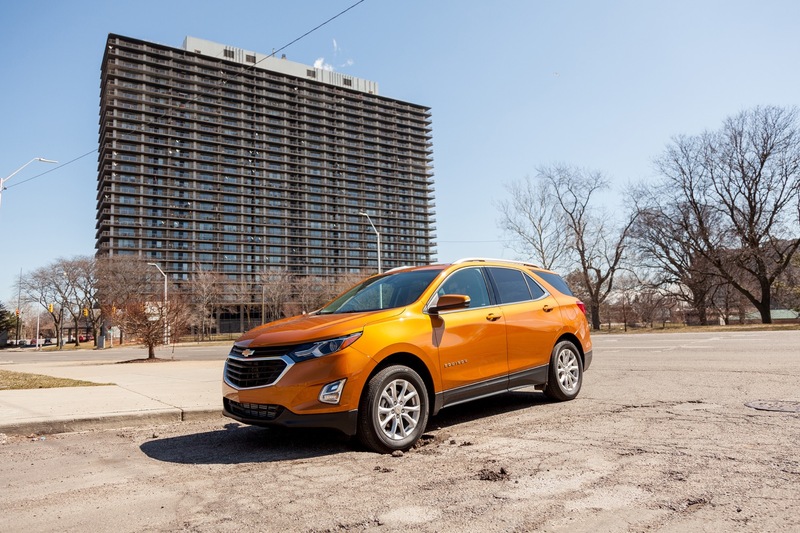 The midsize sedan segment remains important, but consumers’ shift to crossovers is here, and here in a big way. 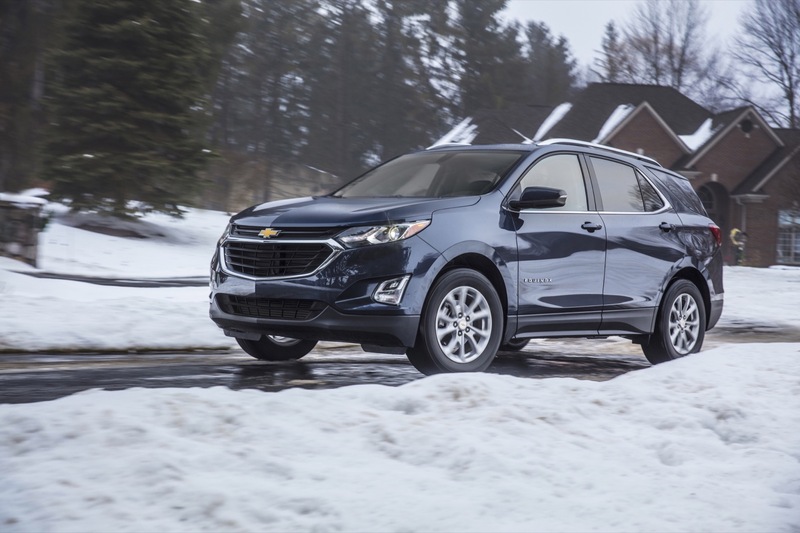 With more than 2 million of them sold to date, the newly compact Equinox will have quite a task when it goes on sale in the first quarter of 2017. Wow….that came out of left field! 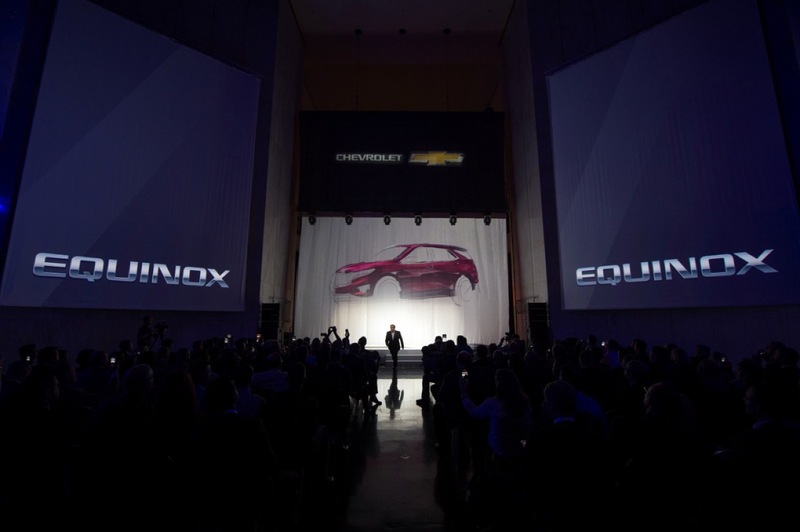 Did anyone know they were going to introduce the new Equinox today? It looks very good. 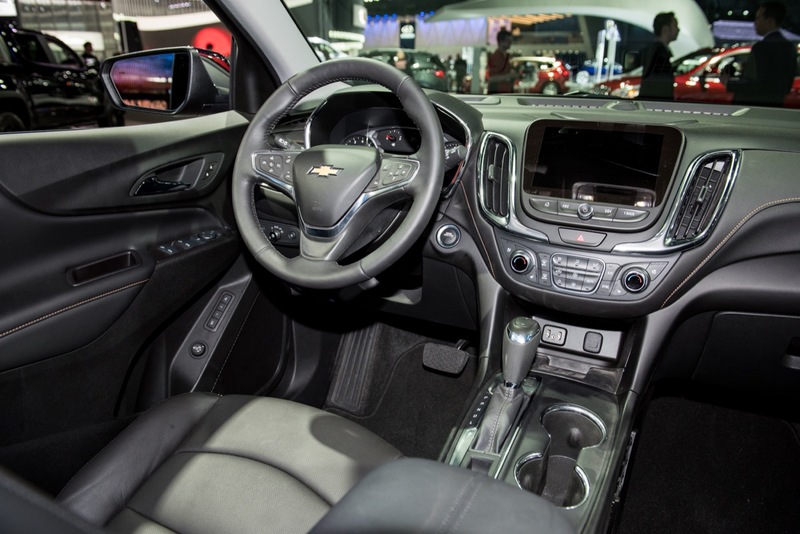 It shares the platform with the Cruze, but the interior is Malibu like. 9-speed transmission with both gas engines. 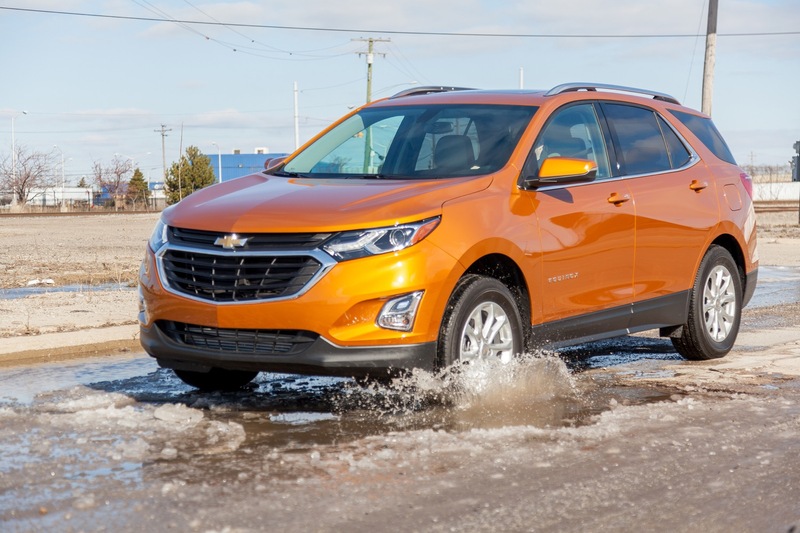 We’ll probably see the 6-speed with the diesel for the same reasons Colorado diesel isn’t getting the 10-speed just yet. Chevy is going for it. That is awesome. I was not expecting today. But most of what is listed is what I expected. Better packaged interior with the dash and seats. The V6 going away was not a surprise either. I was hopeful they would include a 2.0 Turbo to replace the V6. I also expected 300-400 weight loss and it appears they got the 400. The Diesel is a surprise. 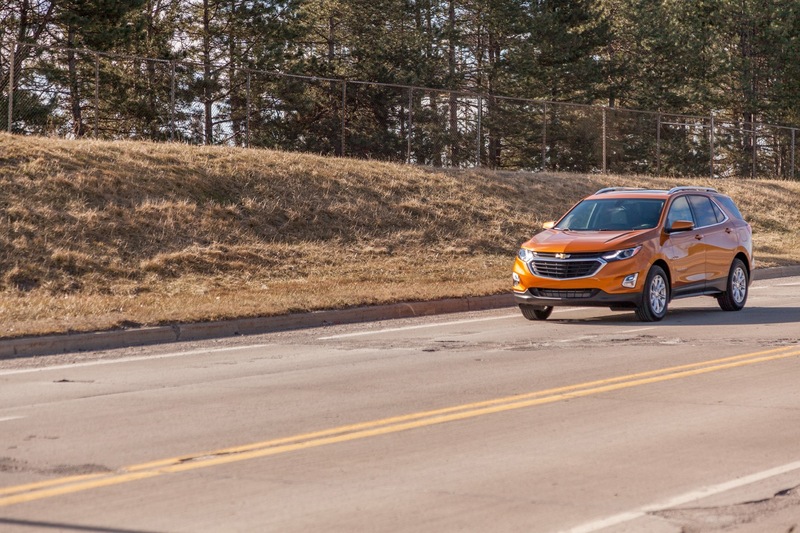 I did not expect that but it will help them leverage this out as they will sell small volumes in the Cruze and the added sales here will help. The VW is yet to be seen but could be a factor to those not willing to give up on oil burners. 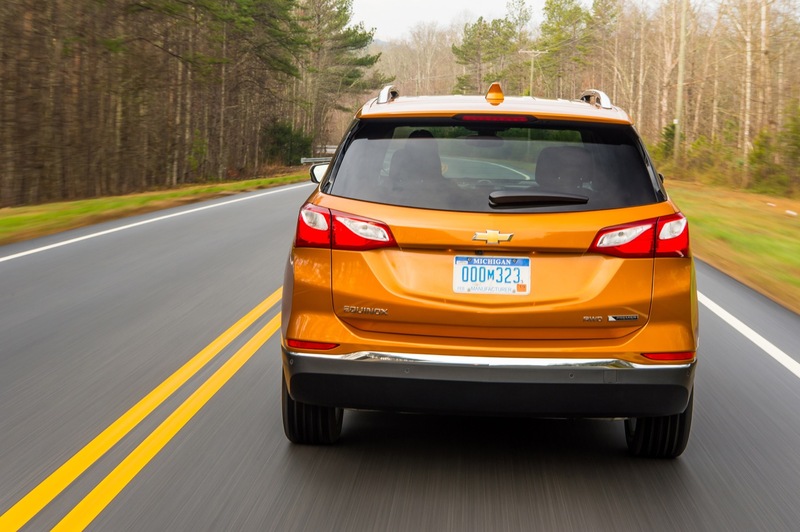 The rear looks like the Colorado based SUV from Holden. It has less rake to give it more space. I love the color in the interior. 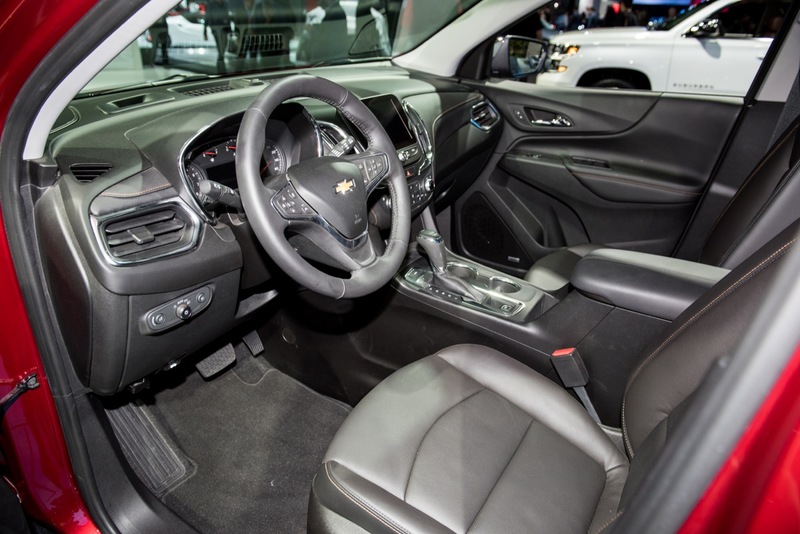 I hate the all gray and black and like seeing a splash of color to set off the interior. This will help as many other brands just have dark and darker. Well the Terrain should not be too far behind. I expect this may be one of the new models for the LA show in Nov. 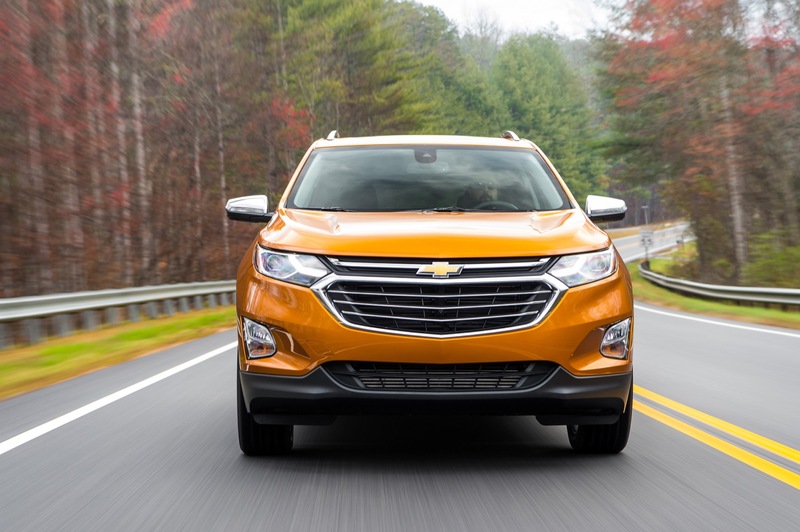 The styling here makes me think we may see the Colorado and Canyon based SUV to be slotted over the Traverse and the Acadia. The rear and profile look great. Still not sure about the front end, have to see it in person before I can make a solid judgement. I’m just hoping they don’t cheap out like they did on Malibu and not offer HID headlamps. 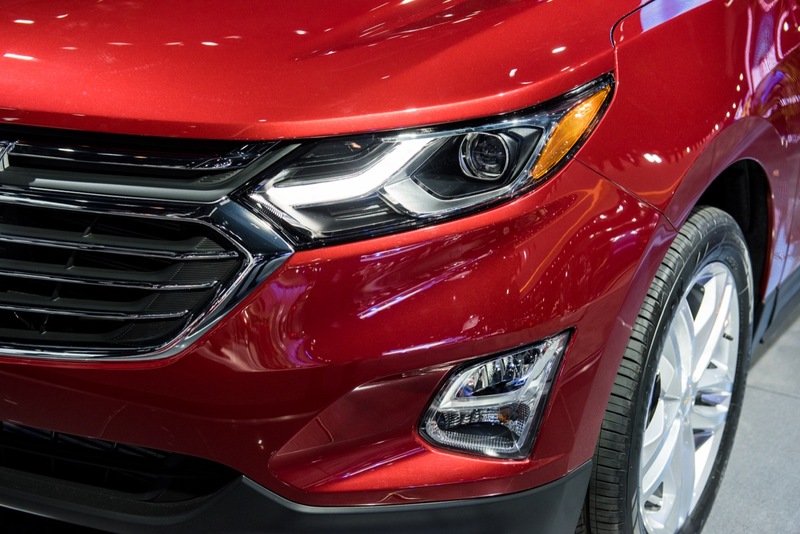 This segment is getting competitive with the flashy features like that, and halogens just don’t look that great. There they are just for you. 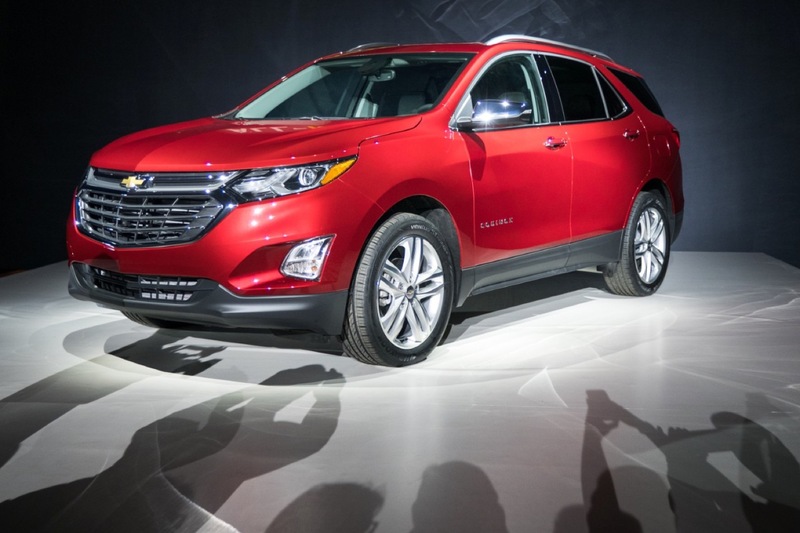 Although the small CUV/SUV aren’t really my type of car, I think they did a good job on it. 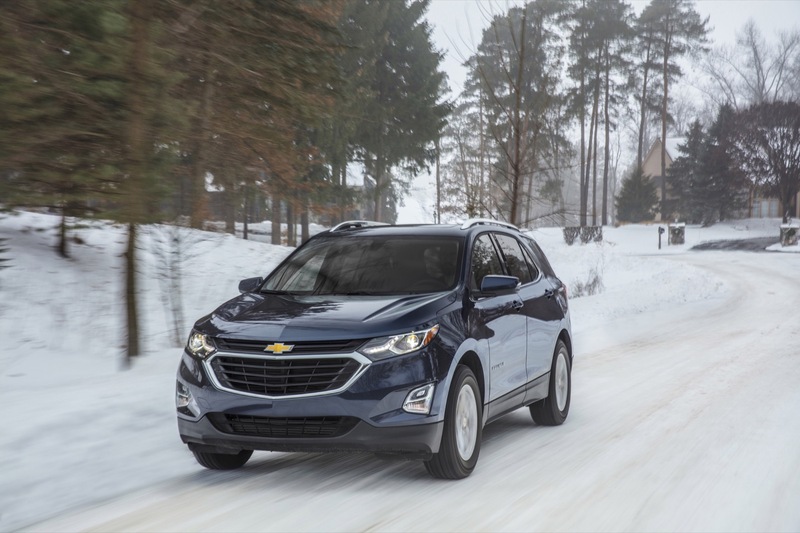 I don’t expect the diesel to be any kind of powerhouse or speed racer, but I definitely applaud Chevy making the effort. Well done. Projectors can be halogen or HID. 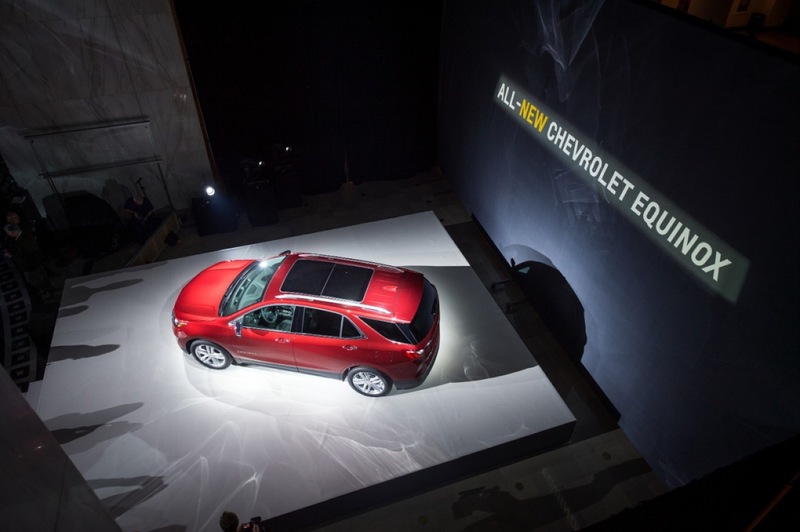 This is the same thing they said when the new Malibu was unveiled, then, when the order sheet came out, they were only halogen. No HID option. You’re right, projectors can be Xenon, HID, LED or Halogens, but what it sounded like you were saying is you hoped they didn’t cheap out and offer the reflective headlight buckets with Halogen bulbs. No matter what type of lighting element is being used, the projectors will definitely look more upscale than the reflective light buckets. It is nice they are offering the projectors across the line up. HID is dead technology. There are LED systems that are far superior (last far longer, don’t need to heat up to reach full light discharge, etc). The HIDs I have in my car I have had to replace several times in the 3 years I’ve owned it and the produce a significant amount of heat (they will melt the stock fog light housings in my car, for instance). 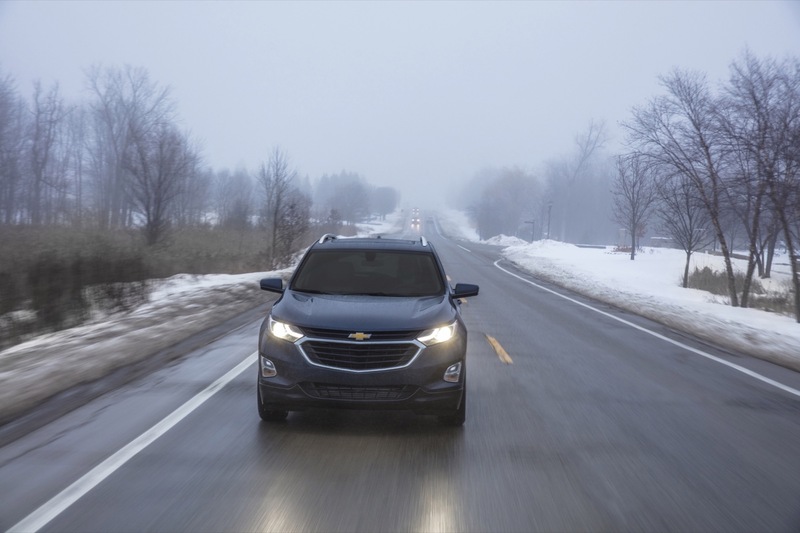 Maybe you haven’t been at a stop light at night when suddenly a ray or low beam of light out performs your ” Halogen” headlights especially when the vehicle is about three car lengths behind approaching along side. Sounds like you have electrical issues with wiring of the HID KIT. Remember, because of the heating discharge from HID bulbs, use projector lenses!… Tip: Don’t use HID lighting in DRL mode. Use LEDs instead. Be sure to use compatible housings for fog lights. Long live HID Technology!!! I agree about the HID lighting! Ever since I added the aftermarket HID Kit to my 2008 Equinox, I’m totally into HID lighting at this point! 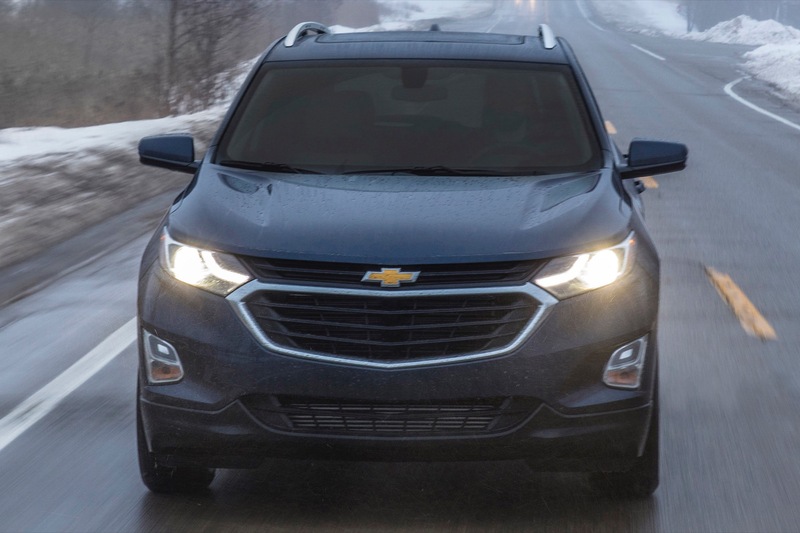 Now that I own the 2018 Equinox, I’m searching for the compatible HID bulbs immediately! Also, I want projector lenses for fog lights too. 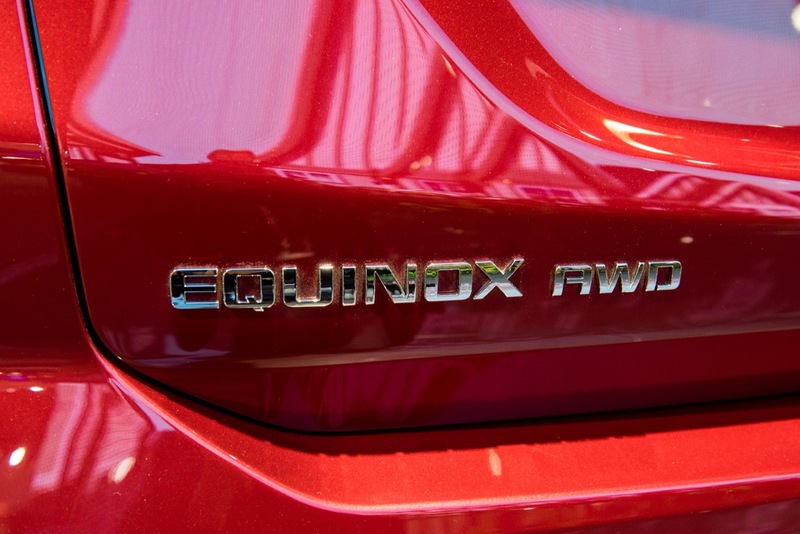 Isn’t it the Equinox already have HID’s? It’s standard on LT unless you’re talking about LED bulbs. Hello vic1212, unfortunately the headlamp bulbs are not HID,but has projector lenses, however. Even the headlamp bulbs are below 6000k. For me, having projector lenses with ( 6000k or more) HID bulbs out performs the ” OES” Halogen lighting from the factory. The LED ” DRLs” are very attractive but doesn’t really perform strong enough at night to support the standard lighting to give that ” Long-cast of sharp wide beam ( merely 180 degrees). Looks good from what I can see. 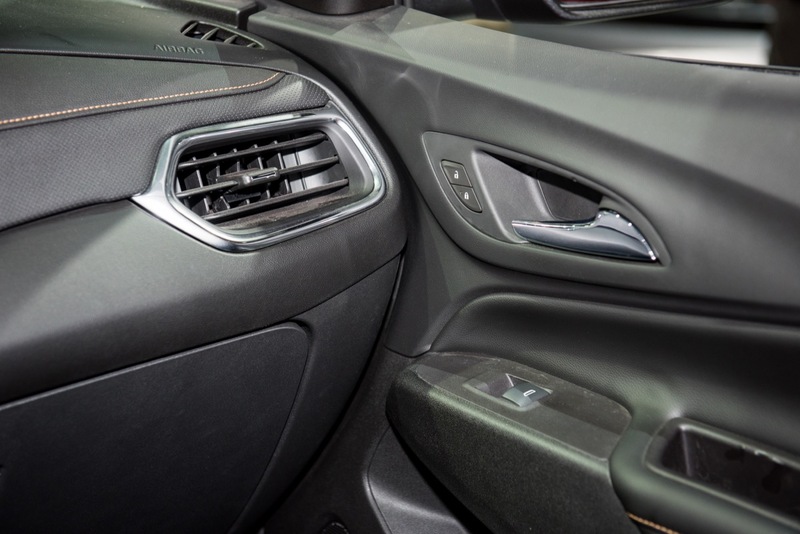 Interior looks great! However the chrome strip should go along with entire window line. Also I think that the downward sloping line on the Malibu looks awkward and out of place..seems like it made its way to the Nox. David – I agree on the headlights comment. Especially when having LED DRLs the halogen lights look none too appealing. GM isn’t the only one guilty of this. It’s nice, better than Ford and Toyota, but not as Mazda. 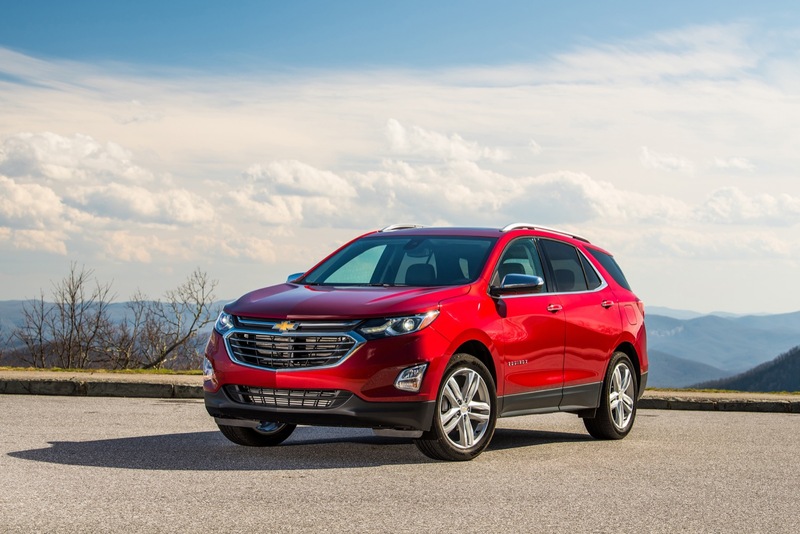 The quality and design big three are quickly becoming GM, Mazda. and Honda. This began with Cruze and processes on here. Not bad, Chevy! I like the styling overall; although I’m not too sure about the face. I’ll need to see it in person. 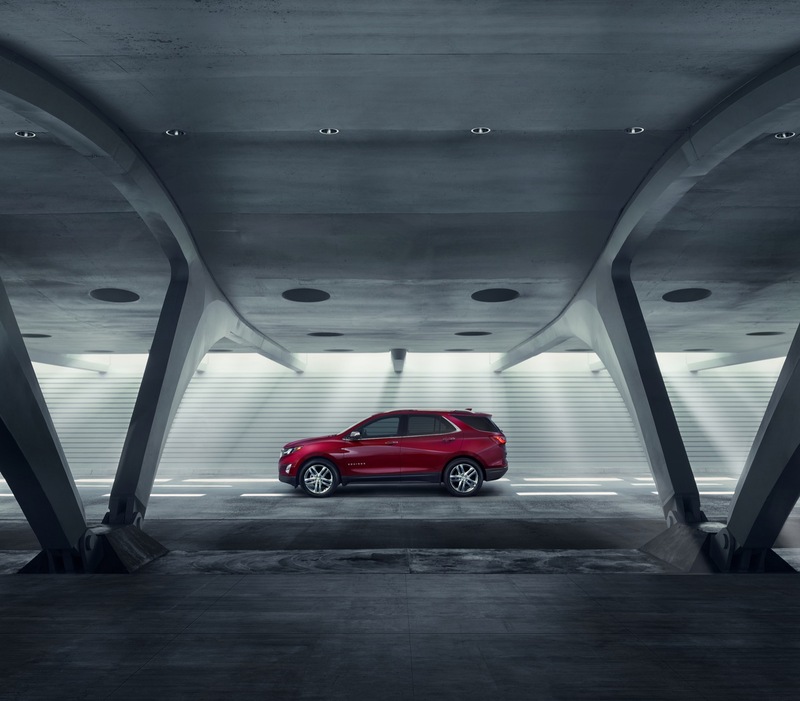 It looks spacious, is lightweight, and has the new 9-speed automatic! There’s a lot to like about this little guy! 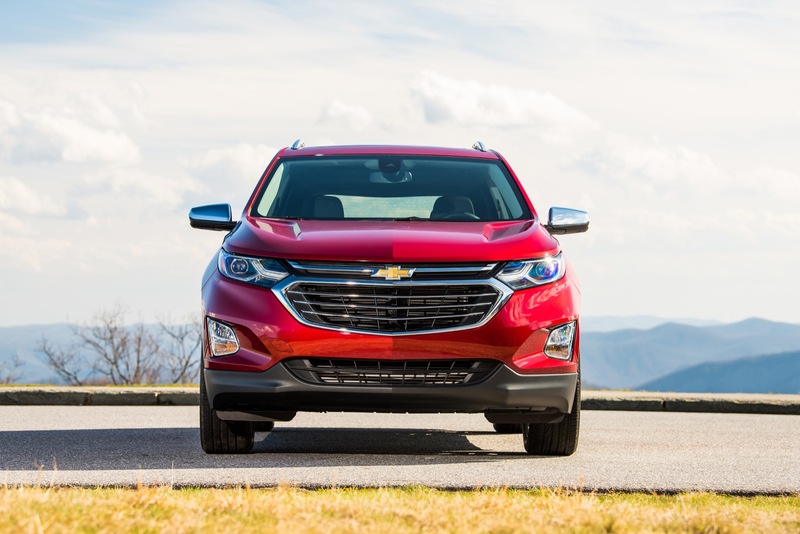 So with the Equinox being smaller, and a new CUV soon to be slotted between it and the Traverse, does this mean GM will utilize the Colorado/Canyon platform to build the next Traverse? 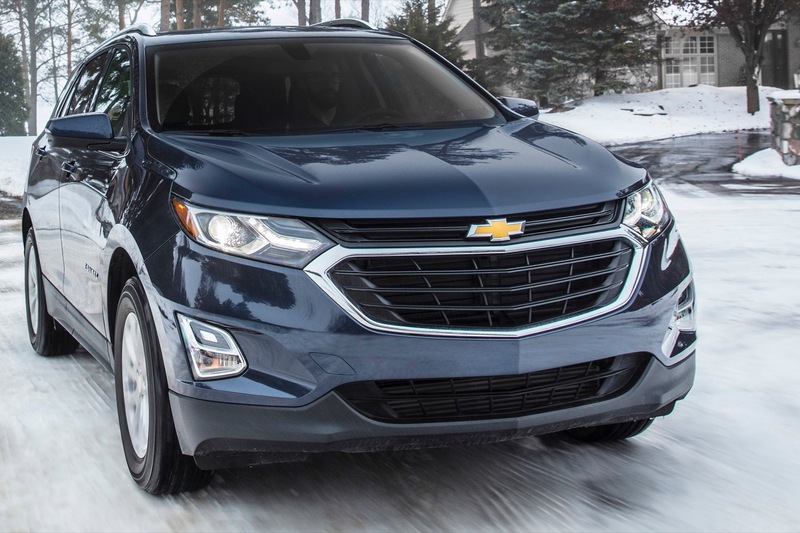 It’d be nice for Chevy to have a RWD, small SUV in the lineup to add a little more variety to their family of SUV’s/CUVs. 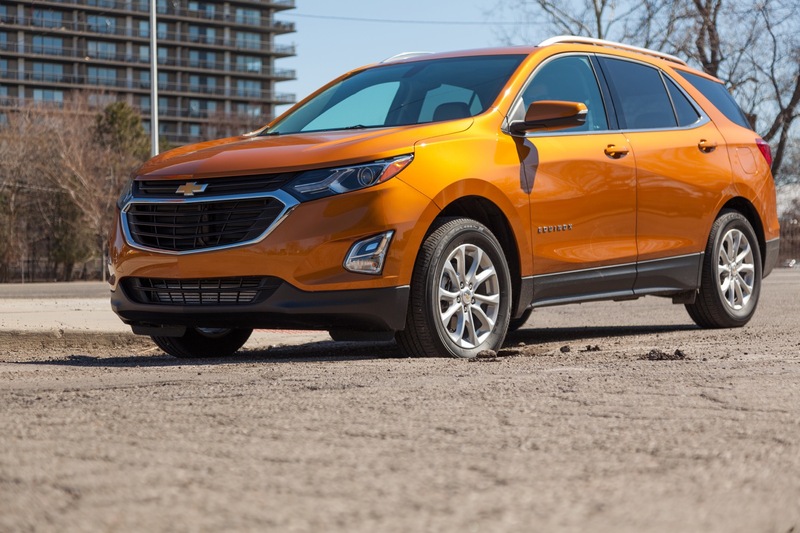 Being the Equinox based on the D2XX platform, I expect GM to add the Volt’s EREV powertrain soon, with a Bolt EV’s floor battery . 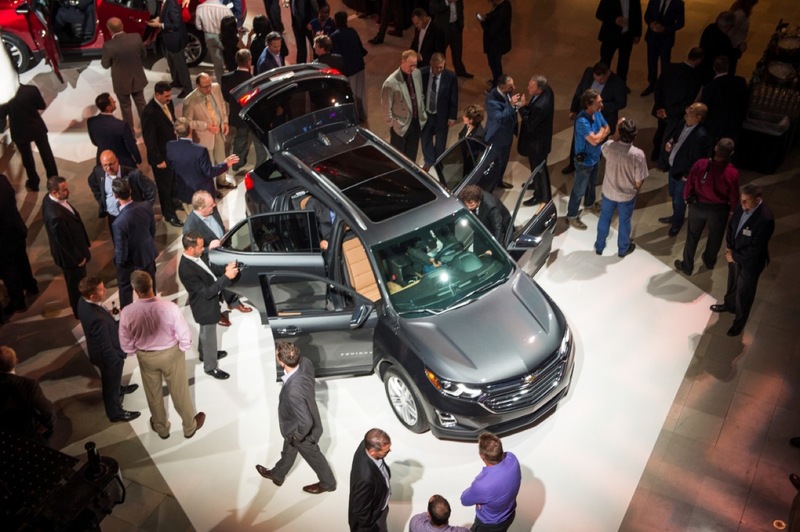 The electric deal is a problem in a CUV. The highway miles would be nearly nil. Around town they would be ok but with the high profile and drag they would get nearly no range. Not the massive drop in the Bolt range highway. 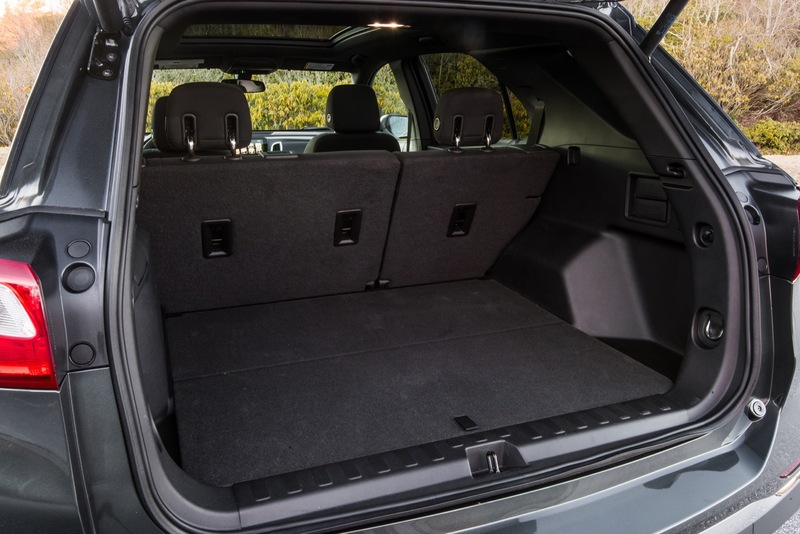 It is intended to be a city car so they can get away with it but often CUV models are travel vehicles and their range with the large frontal area would get them not very far and at a added price few would pay. 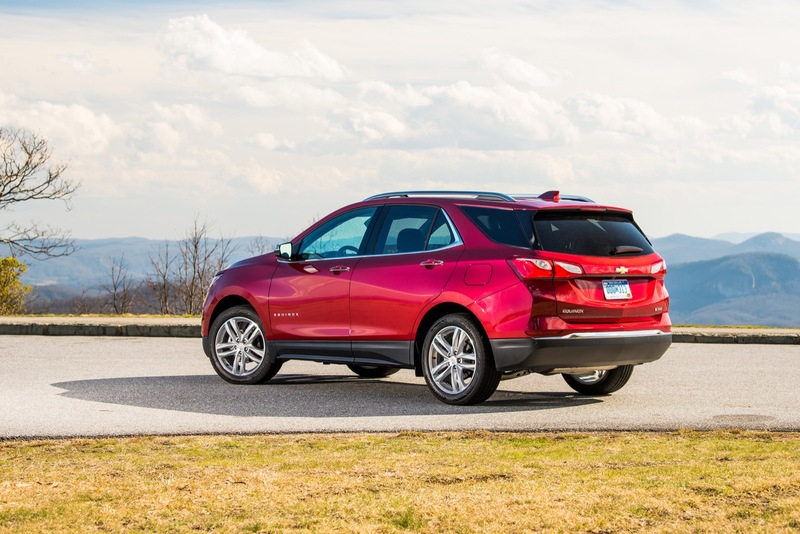 We will see electric CUV models but they will be shorter and not at wide to cut the drag. The Tesla X is really more car like because of drag as it is not very tall. 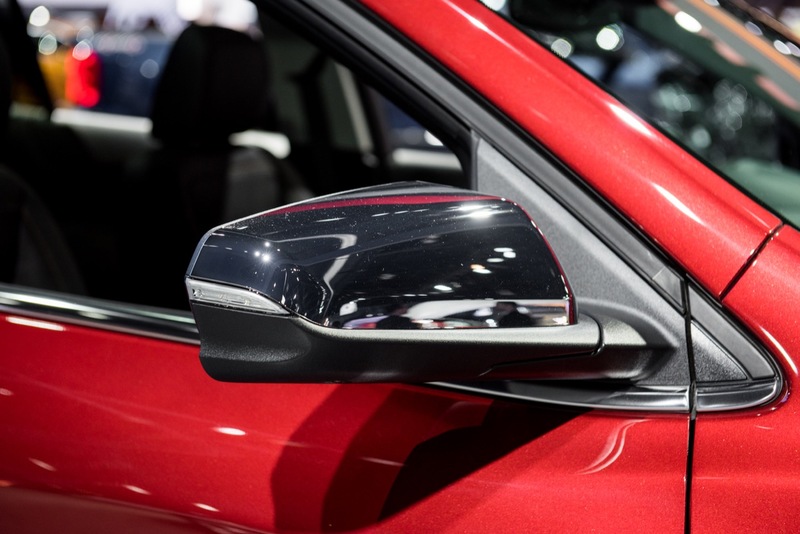 Sorry guys, I think the recently spied Compass (http://www.motorauthority.com/news/1106169_2018-jeep-compass-leaked) is more attractive. Not crazy about the C/D pillar lines, and front fascia. The fascia is too…round. It could have been better sculpted. 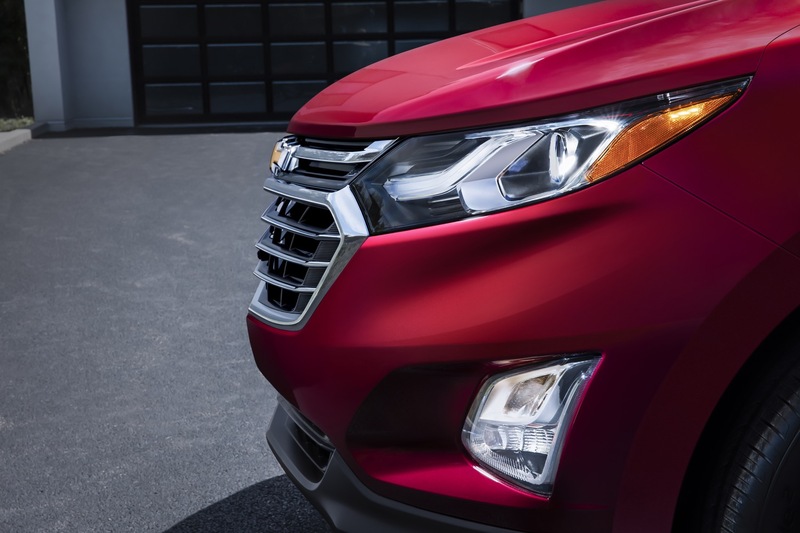 It’s certainly an upgrade over the current Equinox, but I personally prefer the looks of the Compass. It looks nice and will sell well but how many recalls? FCA has a major money issue and quality issue going on now and it will catch up to them. In time Jeep will be sold to someone else and they may be able to fix it. 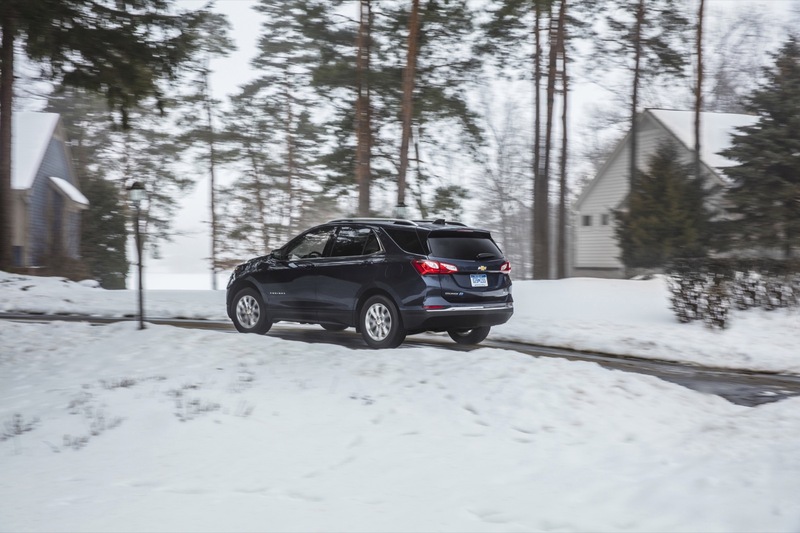 In this segment it is more about reliability since this is a family vehicle. 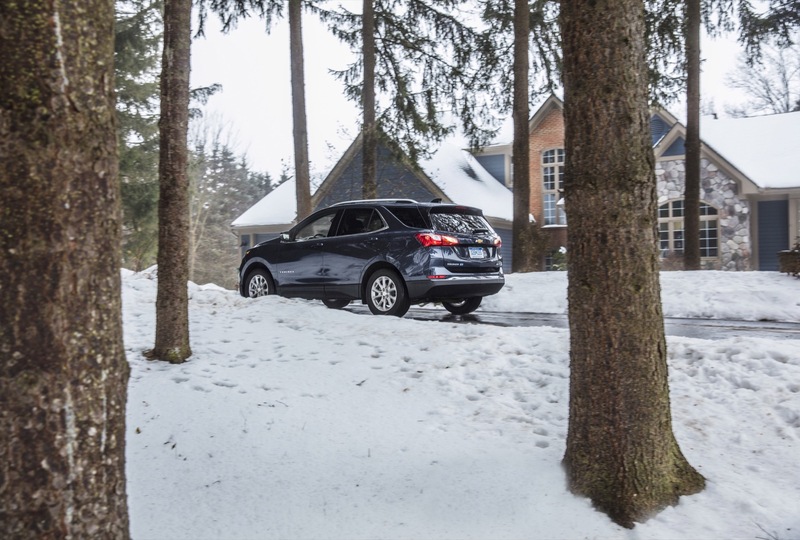 While FCA has sold to many first time buyers their repeat customers are few and far in between with the lowest percentage in the marker out side Mitsubishi. It looks awesome!! 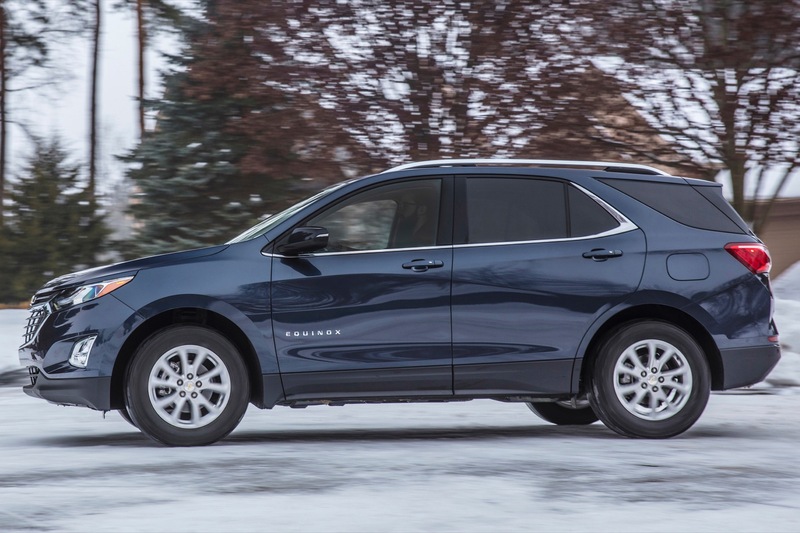 Chevy didn’t hold back on the Equinox and it’ll remain one of their best sellers, hopefully the same applies to it’s GMC twin. 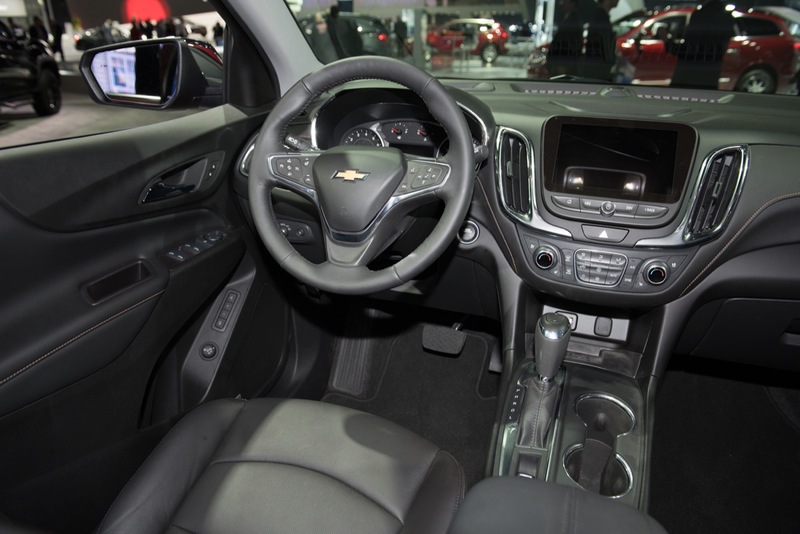 I really like what they did with the interior, very similar to what they did with the Cruze. On a side note, after reading that the new 1.5T (170hp/201lb-ft), my first thought was a new subcompact will come out of GMC with this engine and 9AT combo. 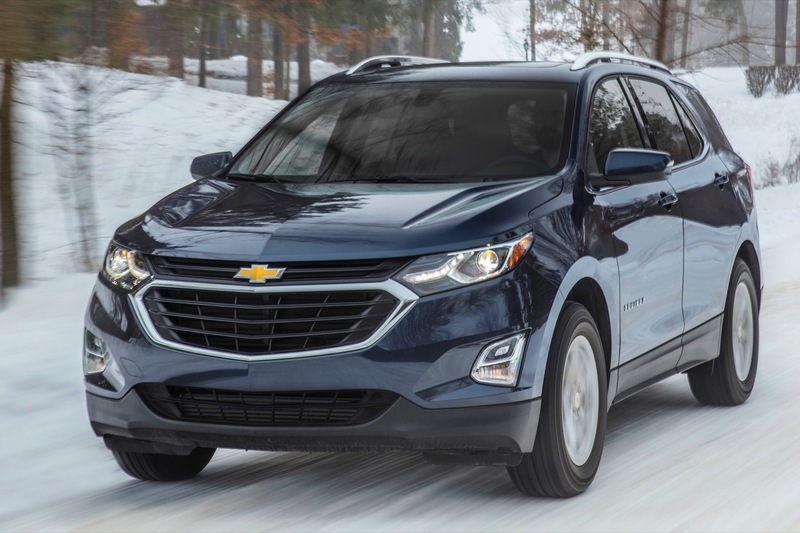 It seems more of a fit for the “premium truck” brand and they could use a version of the D2XX platform instead of the G2XX like the Encore and Trax. I’m also curious with this being one of the first application of this engine, what’s it’s upper limit? 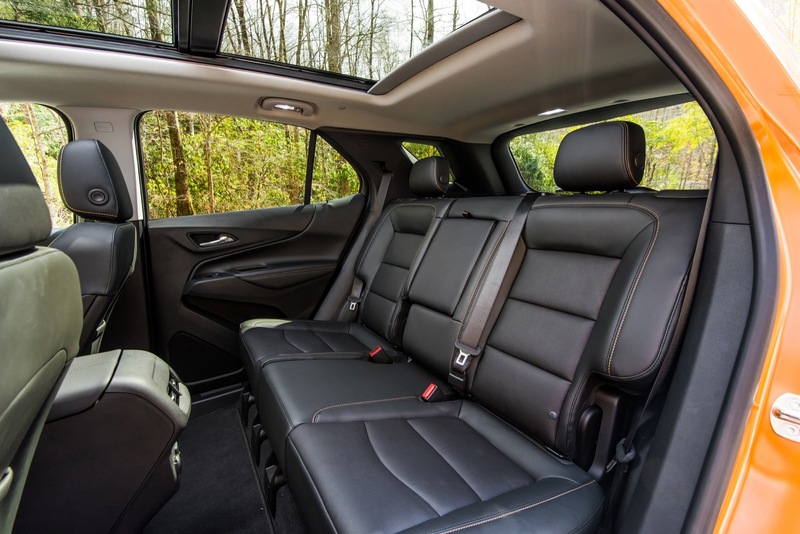 Looks like the sliding rear seat is gone, a very good feature on current Equinox and Terrain. 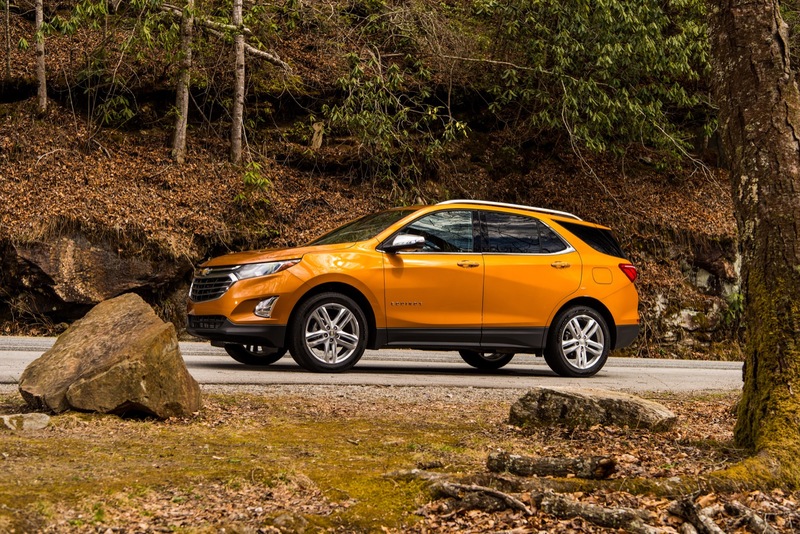 The diesel is great but only if it is widely available across the various trim levels. Forcing the diesel buyer to take 2LT trim or above will not work, just as it didn’t in the first Cruze diesel. 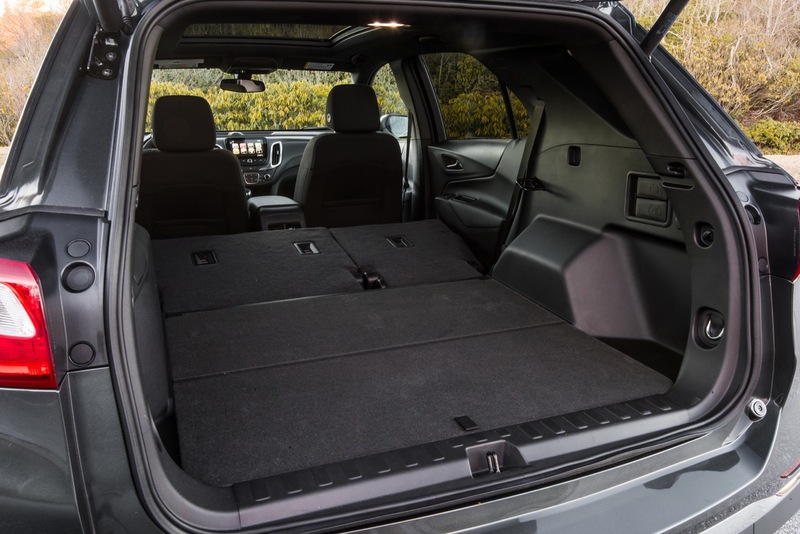 As an owner of the sliding rear seat I can say it is neat on paper but once you buy one you seldom move it. Just give people enough room for their knees if they are over 6 ft and everyone is happy. 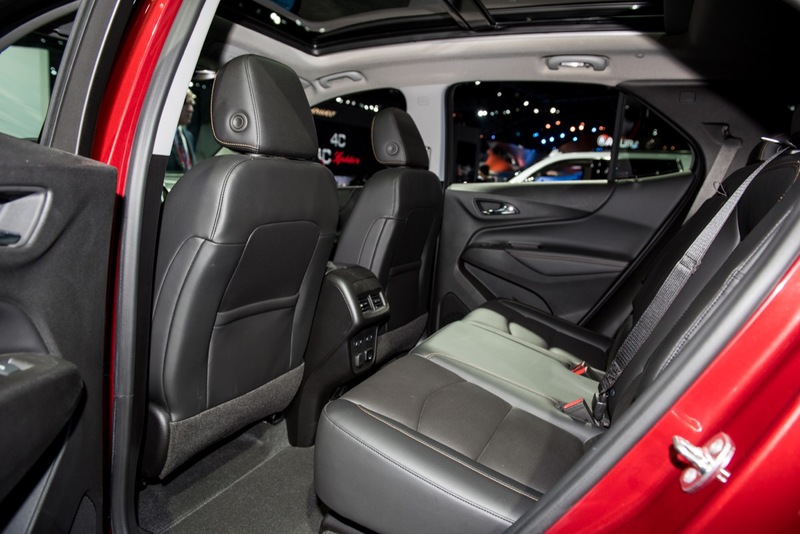 The large hole in the floor with the seats folded from the moving seat has been a problem in later years for owners. The earlier plastic overs would often break so it was removed. The diesel is generally packaged with options as few people will pay the high price of the engine and put it in a gutted model. 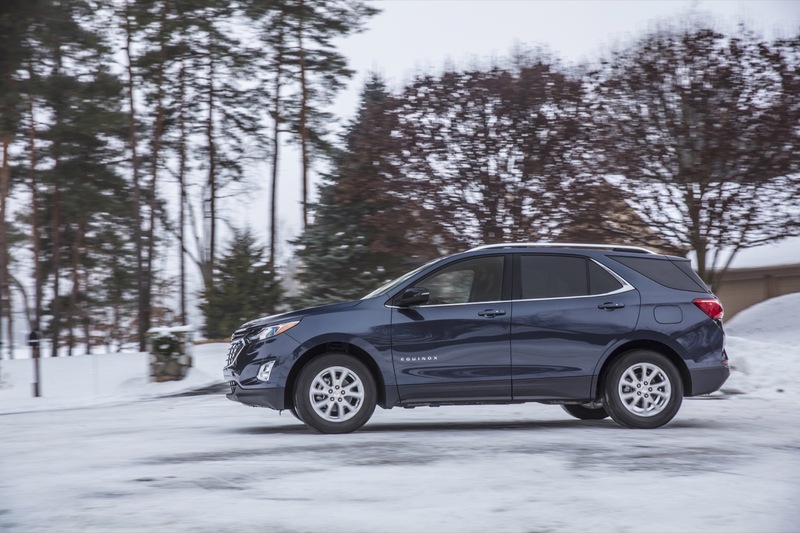 The options are a way to offer value for the high price of the Diesel engine option that you will pay no matter the trim. Diesel engine are just very expensive period. 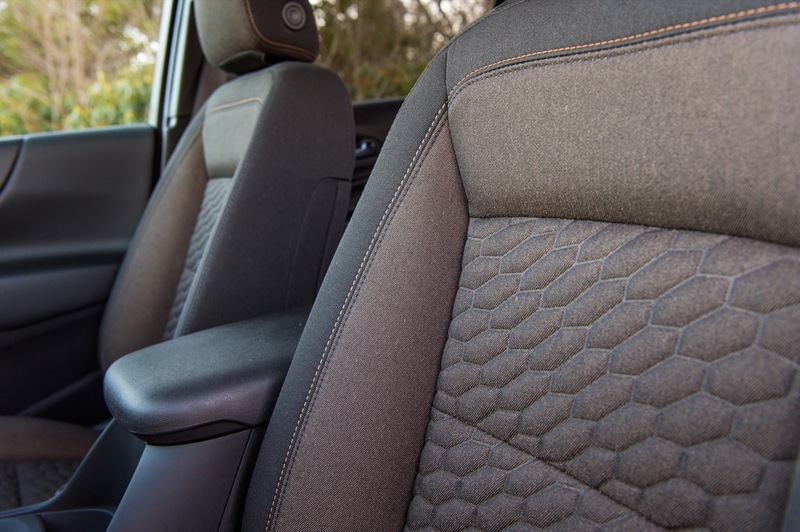 The plastic cover between the second row and the rear floor wasn’t removed; it was changed to being a dealer accessory. They looked for ways to keep the price down and little things like removing the CD player, the plastic cover, etc all help the bean counters. I like the idea of the diesel and the idea of a performance package with a 2.0 L turbo…..
TFLCars has a video of them interviewing the designers and the powertrain guy said the 9-speed will be in the 2.0L Turbo only. 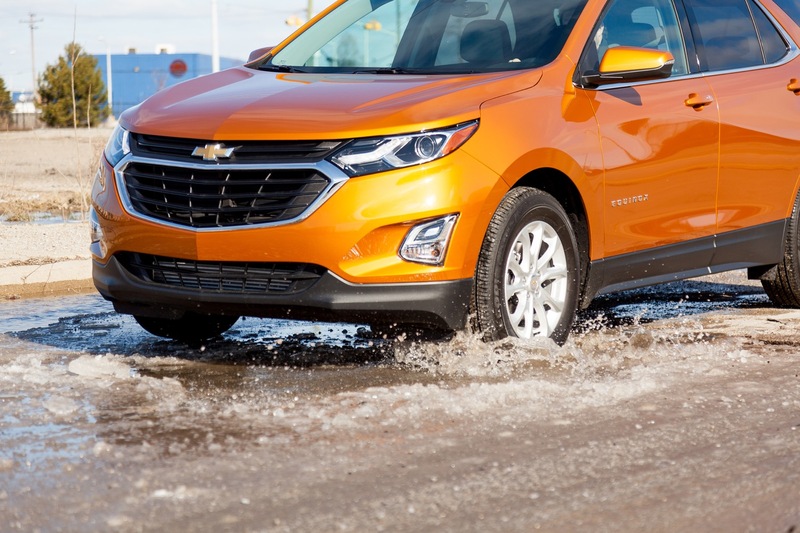 The 1.5L and diesel will be the same 6-speed as the Cruze gets now. Overall, I like it. 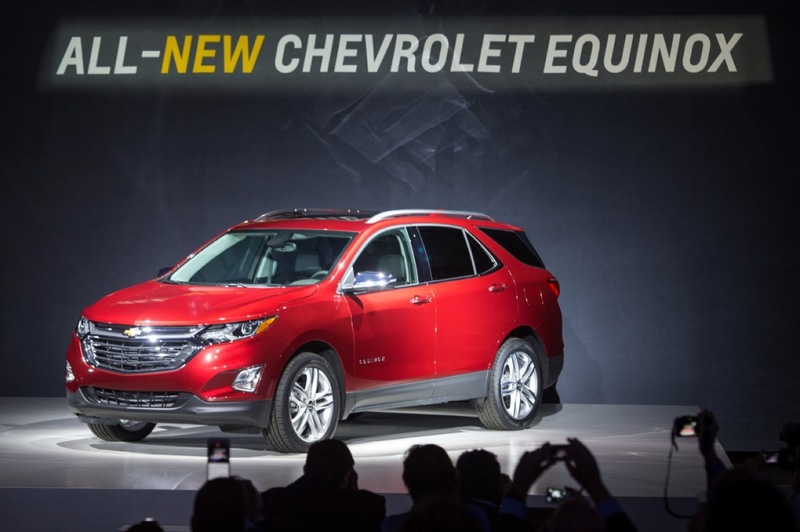 It has consistent styling with other new Chevy products but with an evolutionary look from the last Equinox. The diesel is a surprise and if it can hit the mileage they are estimating (40 mpg US), that would turn some heads. love it…..I’m thinking of getting one as my next car. Well this was a suprise . 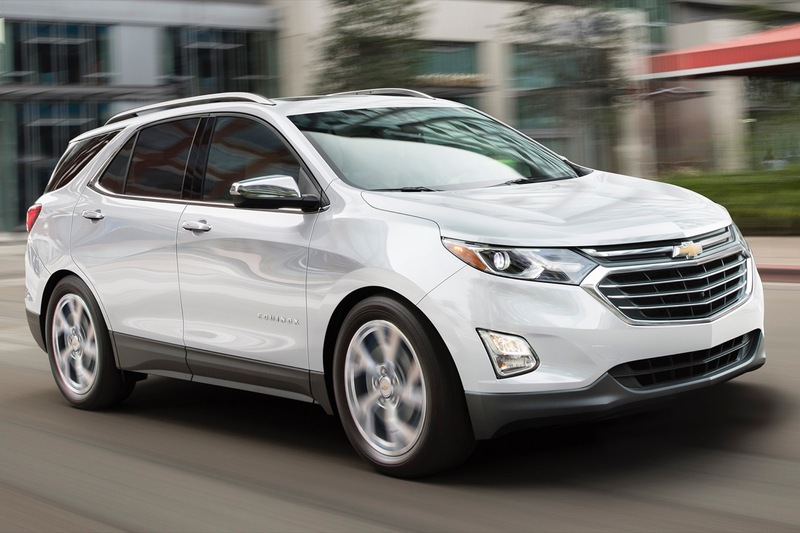 I think the Chevy designers hit a home run with this new Equinox . 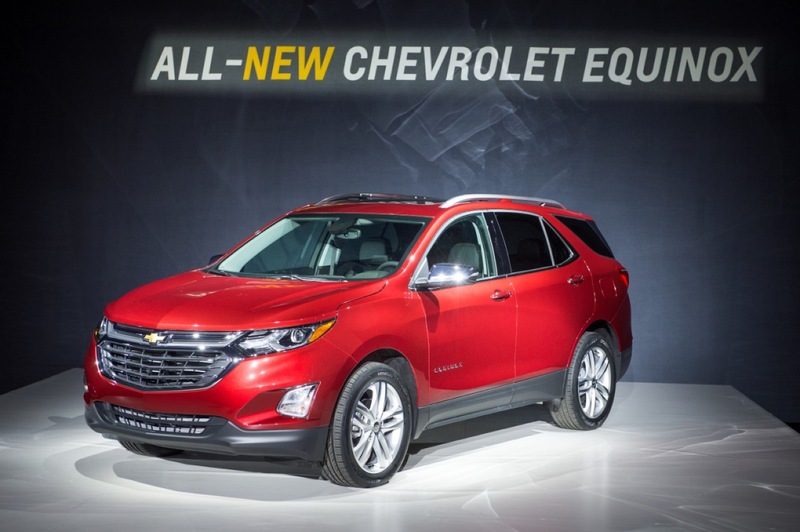 The front end is sleek and seems to sit lower than the current model . 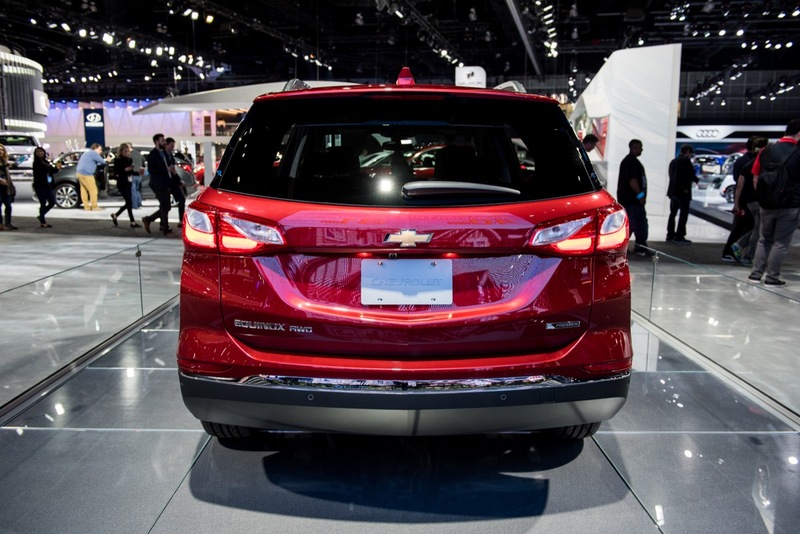 The rear tailights show a familiar Chevy look to the and the D-pillar staying black gives that a wraparound look to it . Hope they offer the panaramich roof on most trim lines and we see a shark fin antenna . I too am glad to see the interior with some color other than black or grey ( titanium ) . 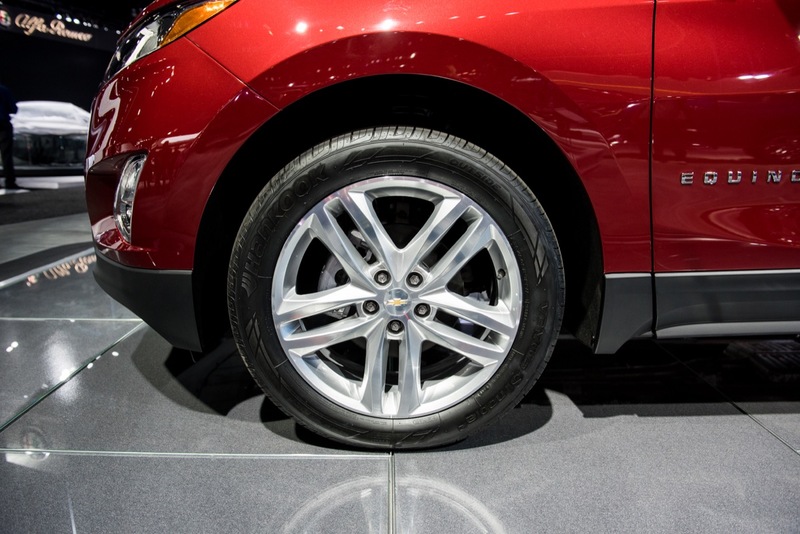 GM is really putting their vehicles on a diet , a loss of 400 lbs . , thats a bunch . It’s amazing! Sport suspension ? Colors? Price? 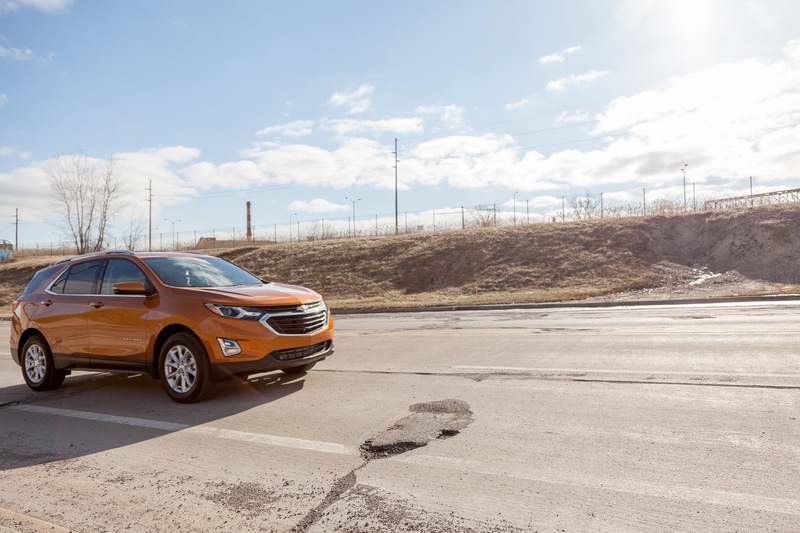 When first introduced and up to the refresh, the current Equinox was, hands down, one of the best soft-roaders around in terms of styling. This one appears much more Honda-like. It is by no means a step forward in the styling department. R.I.P. ‘Nox. You were among the best Chevys penned in the last twenty years. You are guessing wrong. 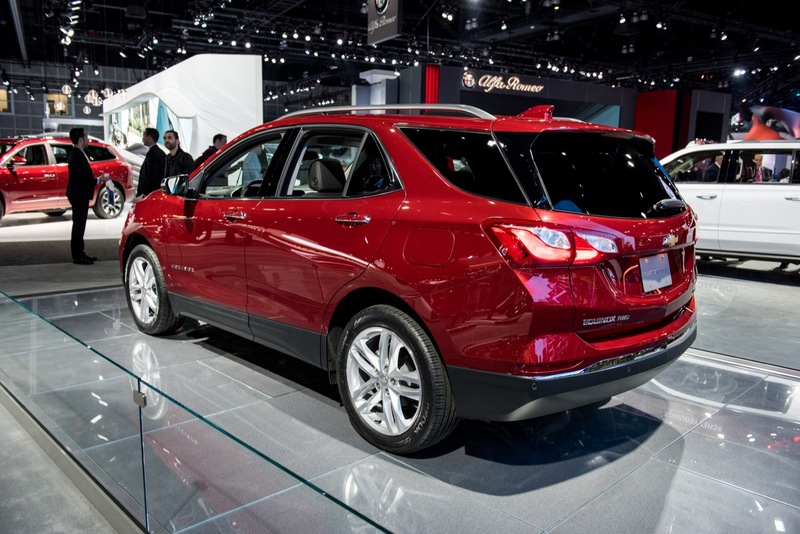 This new Equinox will continue to be a GM best seller and much better than any Honda product. 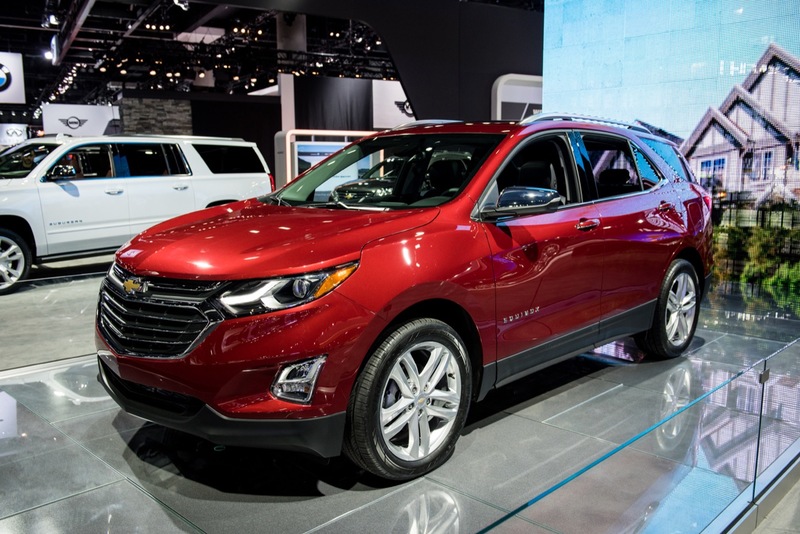 General Motors is keeping with it’s new design language by taking mass out of the 2018 Chevrolet Equinox without sacrificing occupant comfort and with the savings in weight, Chevrolet can be more creative with the engine options for the Equinox and with the Equinox’s sporty appearance there always the possibility for a Equinox SS if there’s a demand.